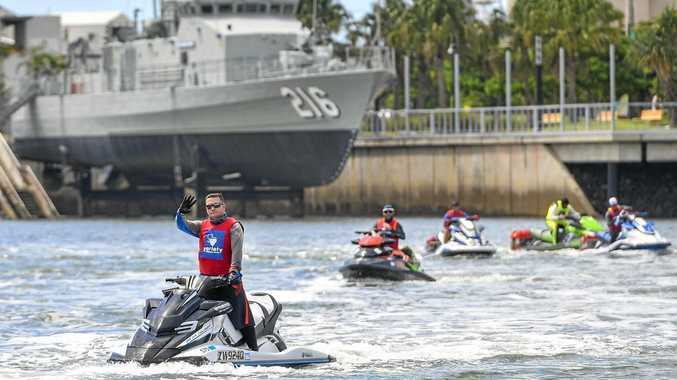 IT'S been described as an "amazing spectacle", 95 jetskis travelling up and down the coast for sick, disadvantaged or special needs children. The Yamaha Variety Jet Trek stopped in at Gladstone yesterday for refuelling on day two of their journey from Bundaberg to Hamilton Island. 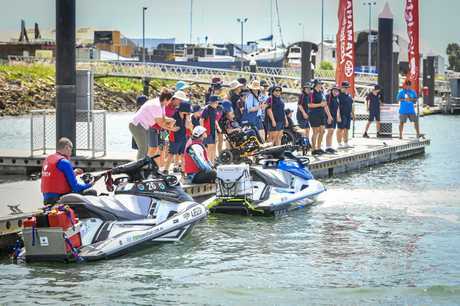 The riders enjoyed lunch at Gladstone's Volunteer Marine Rescue base, where they also refuelled their skis and met with students of Rosella Park State School. The event, in its 21st year, is looking to raise around $400,000 for children around Queensland. Variety CEO Steve Wakerley said those on the trip have been raising money for a number of months. "That will make an amazing difference to kids around Queensland and give kids a fair go in life, kids who struggle and are either sick, disadvantaged ad have special needs," he said. "It will make an amazing difference to their lives because of the hard work these amazing jet trekkers have done in raising this money over the last couple of months." The group travelled into Gladstone half an hour early yesterday due to favourable weather conditions along the coast. They travelled in several groups of up to 15 riders from all walks of life. Mr Wakerley said conditions for the event have been some of the best in recent memory. 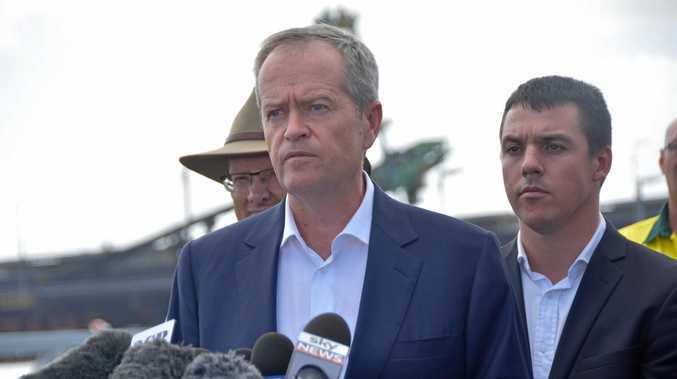 "We were a bit worried a few weeks ago with cyclone Trevor and we had a bit of a panic but he decided to head the other way which is lucky for us," he said. "Last year we had real dramas with weather and we have over the years, but this is probably the best we've seen for a long long time. The "trekkers" rode to Yeppoon yesterday, and will hold an event today with children on Great Keppel Island. Then it's Yeppoon to Stanage Bay before moving on to Mackay and Hamilton Island.